Want to know what Emma Stone, Mila Kunis, and Miranda Kerr all have in common? Well, their beauty is an obvious answer. But here's one trick that all three women use to keep their skin naturally clear and glowing: face oils. Cleansing with face oils has become an extremely popular beauty trend. Despite this, many people are hesitant to start using face oils (myself included before I knew anything about them!) Those with oily skin avoid them due to fear of breaking out. Others with dry skin use face oils as an attempt to alleviate their skin dryness, sometimes without seeing any results. The truth is, every skin type can benefit from a face oil. Our skin needs oil to prevent transepidermal water loss (TEWL), which means water evaporates from the skin into the environment. This is especially true when our skin is stripped of its own natural oils, such as from using too harsh of a cleanser. But it's important to know that there is a right and wrong way to use face oils. So before you run into the kitchen for that bottle of olive oil, keep reading to learn how to use face oils in your skincare routine for naturally clear, glowing skin. Generally speaking, oils can be grouped into two categories: emollient and occlusive agents. Note: Oils can help to moisturize your skin by acting as a sealant on skin, thus providing a barrier over the top layer that keeps moisture in. However, oils do not actually add moisture to the skin. This can only be accomplished by humectant type moisturizers like hyaluronic acid and glycerin, which work by drawing water in from the air and hydrating the skin. Which type of oil is best for you? Deciding between an emollient or an occlusive agent essentially comes down to the type of skin you have: normal, dry, or oily. ...it is best to avoid occlusive oils based on their mechanism: you can’t trap moisture in the skin if there isn’t any moisture there to begin with, right? There is an exception to this recommendation, however, if you have dry skin and apply an occlusive oil right after taking a shower (more on this below). ...try to avoid oils that are known to clog pores, such as mineral oil, olive oil, and coconut oil. One of the best oils for these skin types is jojoba oil because its structure so closely resembles human sebum (the natural oil produced by skin). By mimicking the body’s natural oil so closely, applying jojoba oil will signal to the skin to stop overproducing sebum, which is one of the major causes of acne. Additionally, there’s an oil that specifically treats acne and can help reduce the size of pimples: tea-tree oil. This oil has been proven to be an effective treatment for mild to moderate acne due to its antimicrobial and anti-inflammatory properties. (Indian J Dermatol Venereol Leprol. 2007) However, tea-tree oil can irritate the skin, so keep in mind that a little goes a long way. To reduce skin dryness, the best time to apply a face oil is after showering. Even those with skin that is normally dry will be able to trap in their post-shower moisture. However, things get a little tricky if you normally apply a skincare regimen that involves multiple steps (cleanser, toner, moisturizer, serum, etc.) The general rule of thumb is to save the face oil for last. If you shower in the morning, you might run into a problem as it is not ideal to walk around with oil on your face all day. Showering in the evening can resolve this issue and also has a few extra benefits. Face oils can either be used as cleansers or as treatments. Oils can cleanse the skin based on the premise that like-dissolves-like. Celebrity facialist Joanna Vargas explains, “Oil cleansers break up makeup on the face in a gentle way instead of stripping the skin, so skin won't feel irritated after." Face oils can also be used to treat skin that is dry since they trap in moisture, as mentioned above. However, those with oily or acne prone skin are not advised to use oil-based treatment products as they can contribute to pores that are already filled with sebum. As you can see, many face oils have powerful antioxidants, skin-calming polyphenols, moisturizing fatty acids, and numerous other ingredients that can give you naturally clear, glowing skin. As mentioned above, jojoba oil is one of the best oils for oily/acne prone skin, which is unfortunately the type of skin that I have. I purchased the Jojoba Company 100% Natural Australian Jojoba oil to use as a makeup remover, and I must say I will never be using another makeup remover again! I've always hated those makeup remover wipes because I felt like I had to rub my eyes raw just to get my mascara off. Quite the opposite is true with jojoba oil. Just a little quickly dissolves all of my mascara and leaves my skin feeling soothe. Plus it smells amazing! The Ancient Greek Remedy Oil was the first oil blend that I've ever purchased, and it definitely did not disappoint. 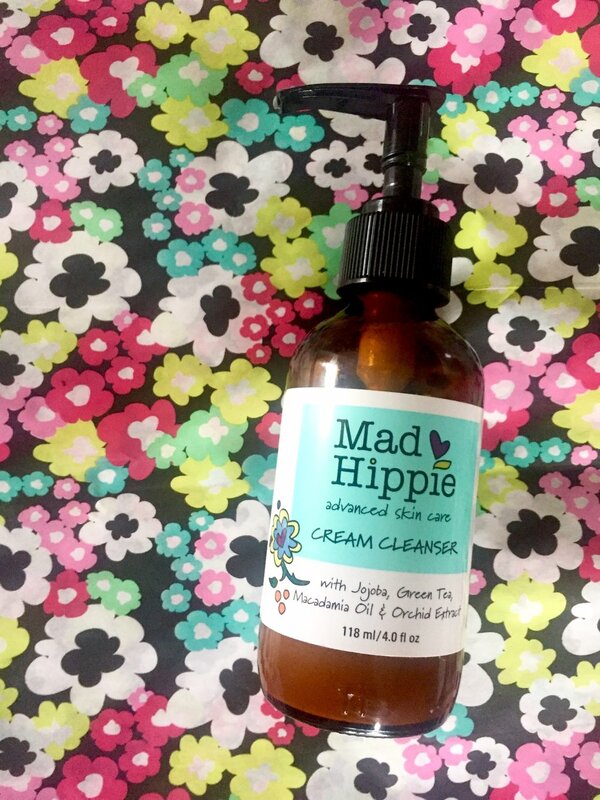 It is a 100% pure blend of organic almond oil, cold pressed olive oil, lavender & grapeseed oil with vitamin E. It is gluten free, GMO free, and vegan. Plus, this oil blend can be used for your hair and nails in addition to your skin! If you can't decide which oil is best for you, I recommend the Active Botanical Serum which blends 22 unique botanicals and essential oils all in one serum! Read the full review > here. What are your thoughts on face oils? Do you have a favorite go-to face oil? Leave me a comment below!